This 18 year old is finished in Oloroso sherry casks. It is very smooth and the sherry notes mixes very well with the wood influence in the smell. Grapes, nuts and light oak influence evaporates from the glass. Mellow sherry notes in the taste. Very sweet, and the sweetness carries out in the finish. A lot of plums, vanilla and gentle oak. 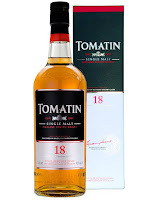 These casks must have been toasted at lowest level possible, which gives this whisky a light and mellow finish even though it is finished in Oloroso sherry casks. 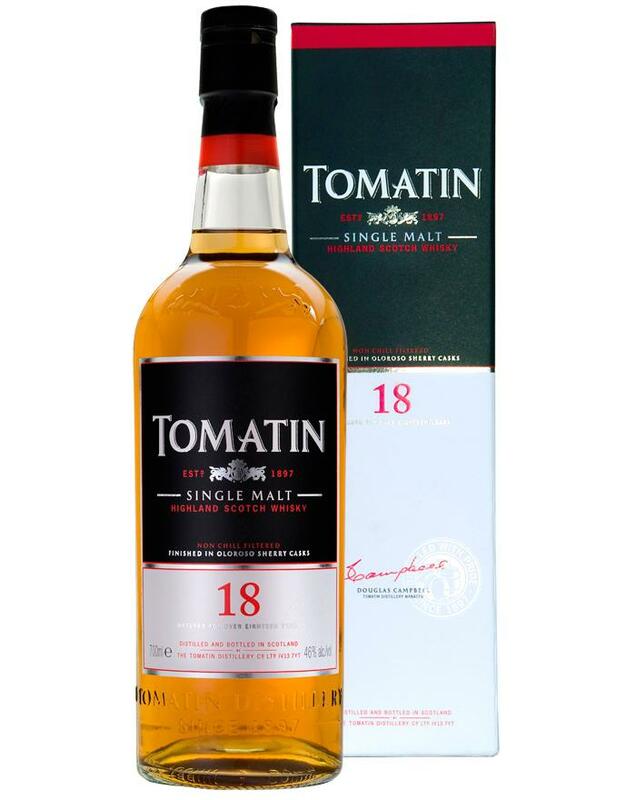 One of the better standard expressions from Tomatin and everybody should know that I love Oloroso so it is not a big surprise I like it. Especially I like the mix of bourbon and Oloroso casks in this one, but the score is going to be 86/100 (22/21/22/21).